For a one-man show, this little gem is truly amazing and I highly recommend you give it a try. 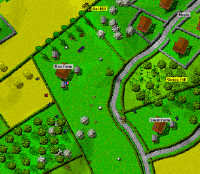 Firefight Gameis a World War II real time simulation game. It relies heavily on the use of artificial intelligence to create a realistic game, while having a user interface so simple and intuitive that you can learn to play in minutes.